AMPZ is a cutting-edge firm founded on industry knowledge built up over 30 years. 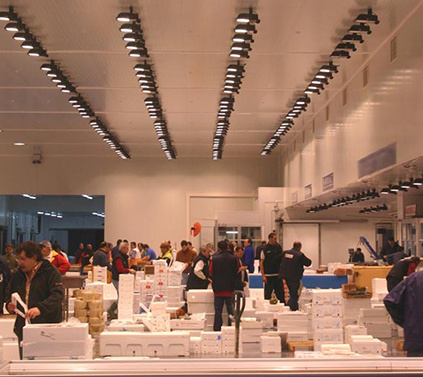 It is formed by a group of professionals with a wealth of expertise in buying and selling (import-export) and distributing all varieties of fish and seafood. The AMPZ business vision is founded on the conservation and rationalisation of fishing activities as a mainstay of its work, always abiding by international regulations and ensuring the continuity of fisheries. Every day our team of buyers purchases products directly at the fish market, from fishermen and shellfish farmers or at fish farms. Our purchases are planned following replenishment criteria and on request, allowing us to offer the best products fresh daily at the right market price. We are based in Mercazaragoza, a Food Logistics Platform in the Ebro Valley, giving us quick access to all intermodal transport modes. The platform has its own rail station and is close to the airport, ensuring we can deliver quickly to our customers. We sell to wholesalers, distribution centres, local supermarkets, etc., providing service to them with a commitment to help them to meet their business goals. • Best selection: suited to meet customer needs. • Lowest prices: top quality at the lowest cost. • Shortest timeframes: commercial and logistics planning. The market demands products that are increasingly authentic, high quality and sustainable. Through the traceability and labelling, AMPZ provides its customers with trustworthiness and verifiable product information. Our continuous improvement procedures include scrupulous hygiene-sanitary controls on our products, processes and facilities. 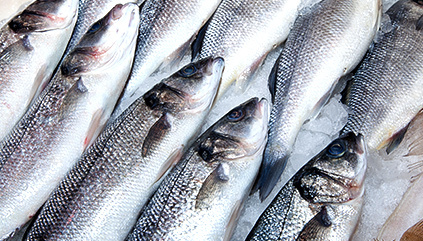 If you form part of the fish and seafood distribution channel, contact us. We’ll listen carefully to your needs and adapt our services to help you find the right solution.